Legacy of Life is more than the memoirs of Survivor Israel Joe Sachs. Joe takes the reader on a journey to his innermost and personal thoughts and feelings of his experiences at the hands of the Nazi machine. When Joe states,”Nightmares we lived by daylight; it was in our slumber that we dared to dream,” the reader is propelled into the reality that was the truth for the Jews of Eastern Europe. This is a powerful book, made all the more important by the advancing age of the Holocaust Survivors whose words are critical to those of us in the next generations. 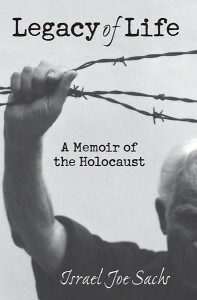 This compelling memoir is narrated by a Holocaust survivor who experienced this period as a young man brutally separated from his parents, family and loved ones. 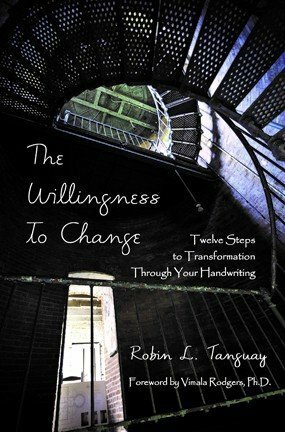 The subtle texture of the author’s tone and his ability to portray details without eclipsing the big picture give the book its unique character. The memoir is a shocking document that recalls the relatively recent past when people turned into beasts of prey, or tormented victims, while the rest of the world stood aside and turned mute. “This story is my own, the experience is my own, because I lived it, it is embedded in my memory forever.” These are the words of a man who inspires, teaches, and offers hope. He lived through the unspeakable, yet he speaks so eloquently and personally because when he shares his story, we hear the stories of the millions of people whose own stories were brutally silenced before they or anyone could tell them. Recalling his own fears and horrors as a teenager, he was forced into maturity through the brutal turmoil that surrounded him. In this amazingly moving memoir, Joe Sachs invites us into his inner life as we witness a remarkably human picture of a boy’s ability to not only survive the horrors, but to process what he endures. Constantly being thrown between hope and desperation, hope wins. This young boy, whose childhood was ripped from him as he lived in total isolation from his family, those who loved and nurtured him, and everything familiar, survived. His positive attitude and his motivation to give back to others (even within weeks of his liberation) speak to the deep compassion of this remarkable man. Legacy of Life: A Memoir of the Holocaust is a treasure to be shared by adults and teenagers. Israel Sachs’ memoir is a straightforward and eloquent narrative of his experiences before, during, and immediately after WW II. All too often readers of Holocaust literature forget that survivors came from loving families and vital Jewish communities. Mr. Sachs is able to portray his positive experiences prior to the onset of the war, which could probably be a factor that enabled him to survive as an adolescent, surrounded by death on a daily basis. His rebuilding of a normal life and bringing children into this world is testament to his humanity, dignity, strength, and will to live and bear witness. This memoir should be read by all.